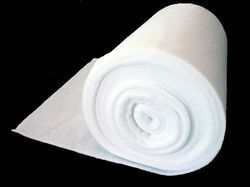 We are one of the Leading Supplier for Organic Cotton Waddings. We are with polished 25 years of Experience. we deliver 100% GMOfree organic cotton wadding with Gots Certificate. 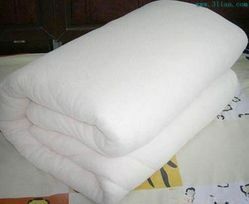 100% Pure Organic Cotton Wadding. Thickness Minimum (100 GSM - 900 GSM). Capacity daily 1 Tone (5000kg/day). Delivery time - 15 days from PO up time. Organic Cotton is generally understood as bio-cotton and it is grown in subtropical countries from non-genetically modified plants. Its production also promotes and enhances biodiversity and biological cycles. This type of cotton has a lower environmental impact than traditional cotton, since it is cultivated using methods that do not require genetic engineering and the use of toxic elements such as pesticides or fertilizers. The process adheres to standards in accordance with the GOTS (Global Organics Textile Standards) requirements. 1. Using natural fiber as the raw material, allowing you to be cool in summer and warm in winter. 2. 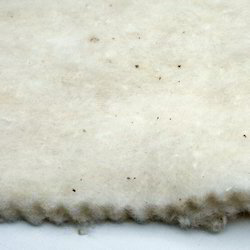 Light feel, soft and good insulation, with down and feather feeling. 3. Cosy cotton is low loft and has a scrim finish. 1.It can be widely applied in the down jacket, ski jacket, winter coat, shoes, etc to keep warm. agriculture, home textile,garment, industry, interlining and other industries. Our's is to Work in harmony with our products and to supply our consumer a high quality product. Our Trading begins with 15 years and last 5 years we supply Organic cotton Wadding for Textile Purpose. 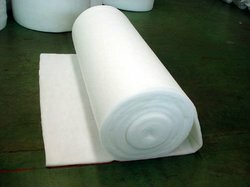 We have started a well based organic cotton wadding industry, which is prior to all textile uses. New Organic Cotton Wadding Industry is Certified with GOTS (Global Organic Textile Standard) recognition. We completely with only environmentally standard qualities. 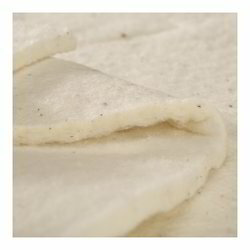 We purchase Certified Organic Cotton and make Wadding. Length 2.5 meter (100') and 5 meter (200'). Capacity daily 1 Tone (1000kg/day).